Come try some amazing Spanish wines from Paternina winery, including Marques Valparaiso and Conde De Los Andes Rioja. The Sig-O and I were out for a late night date night last night at World Beer Company Bottle Shop (more about that and the awesome beers later) and Carroll from Marbleous Beef Company was there sharing bites of his fabulous Wagyu steaks. And now I think I may be a meat snob b/c me ruined us for all other steaks. The Wagyu steaks are so tender and so delicious that it really may be the only steak I want to eat. Here's a little info about Marbleous and Circle L Ranch in Waxahachie. Eat Local! Give Carroll a call, order some fabulous steaks and he'll even deliver them to you for free! 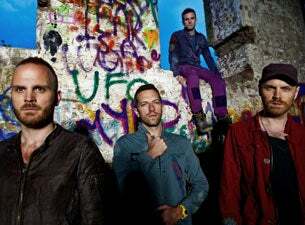 Tickets for Coldplay go on-sale Saturday at 10am but you can get your tickets early! The Coldplay pre-sale is happening Friday between 10a - 10p use PASSWORD: EDGE. Click here to buy tickets. Saw this this morning and just couldn't pass it up. We love that mothers actually get to choose and wrap gifts for their children. You can support The Family Place through its Adopt-the-Shelter program and help stock the Safe House Holiday Store. Brighten the lives of family violence survivors by purchasing new toys, clothing, and gifts from their wish lists. Mothers staying at the Safe House get to choose and wrap gifts for their little ones—and select something special for themselves. Don’t have time to shop? Make a donation and The Family Place will do the shopping in your name. Simply email Karen at kadegraffenreid@familyplace.org or call 214-443-7714 to participate. For more information, visit familyplace.org. Kick off the holiday season with a tasting of Perrier-Jouët, Moët & Chandon, Jean Pernet and more!! The tasting is limited and by RSVP only. 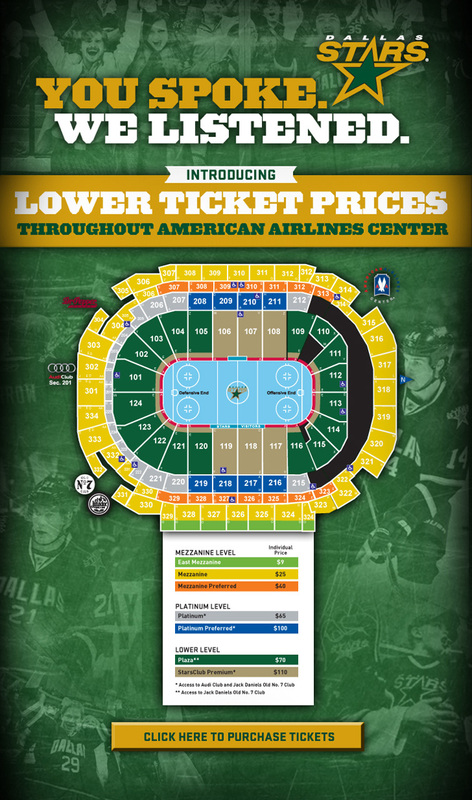 New Lower Prices for the Dallas Stars - Starting at $9! Food Truck Rally Saturday - The Butcher's Son, Gandolfo's, Ruthie's & The Cup Cakin Machine! It's the holidays and the malls and horrible, with a capital whore. So, in the interest of avoiding said whores at all cost, you probably do your shopping online. Namely, at Amazon.com. They have everything. You've seen us mention Back on My Feet before. It's a fantastic nonprofit organization working to end homelessness through running. No, you don't have to run. No, you don't have to donate. There's just 1 thing we're asking you to do as you continue online shopping. Click on the link below, and it takes you to a webpage that has 1 more link into amazon. That’s all you have to do! Bookmark this link NOW. If you do any purchasing on Amazon this holiday season, do it through this link and Back On My Feet will earn commission for each order placed. It does not cost you anything. It just takes your time to remember to click through this link to give a great organization a credit! Off the Bone Barbeque introduces THURSDAY NIGHT ALL-YOU-CAN-EAT RIBS SPECIAL! Today, Off the Bone Barbeque announced its new Thursday night all-you-can-eat baby back ribs special. Stop into Off the Bone Barbeque on Thursday from 6:00pm to 9:00pm to enjoy an unlimited quantity of the barbeque spot's famous pork ribs, plus two sides and a soda for just $29.95. Off the Bone bills itself as a "gourmet" barbeque restaurant, and that attention to flavor and technique is evident in each bite. From the pecan-smoked meats and delicious sides, down to the customer service and comfortable atmosphere, Off the Bone wants every customer to feel like they're sitting down to a family dinner.